We came “in country” this morning after a good night in Encinitas, a great dinner at Fish 101 on the PCH and a mediocre breakfast. We got misplaced looking for a grocery store in San Diego, but we dropped in through Tijuana before noon. A quick trip through the scary sections, then we scooted over to the coast to head South to Ensenada. The best part was this little detour we took in Tijuana, we thought there was a coast road besides the toll road, what we found was a little open air market that sold everything. And I do mean Everything, there were whole booths dedicated to toilet paper and diapers, and then the usual stuff too, some looked like garage sales from back home, others had knock-off handbags and lots and lots of clothes. At the end of the market was this brand new, beautiful stretch of pavement, exactly what we were looking for, so we sped up and started moving down the road, there was a tunnel up ahead, as we drove under the bridge, Big slammed on his brakes, the road didn’t go anywhere. On the other side of the bridge was a large dirt wall – the rest of the tunnel hasn’t been cut in to the mountain side yet! I can’t even imagine what the men working on the bridge were thinking when they saw us drive in to it. 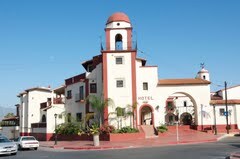 This entry was posted in Places, South and tagged Baja 1000, Ensenada, Hotel Mission Santa Isabel by Vagabond63. Bookmark the permalink.